When I read through wedding preparation check lists I found out that most people buy special wedding perfumes for their big day. Considering that a good perfume costs around 50-150€ I thought this was a rather useless spending as we had so much more to invest in for our wedding. 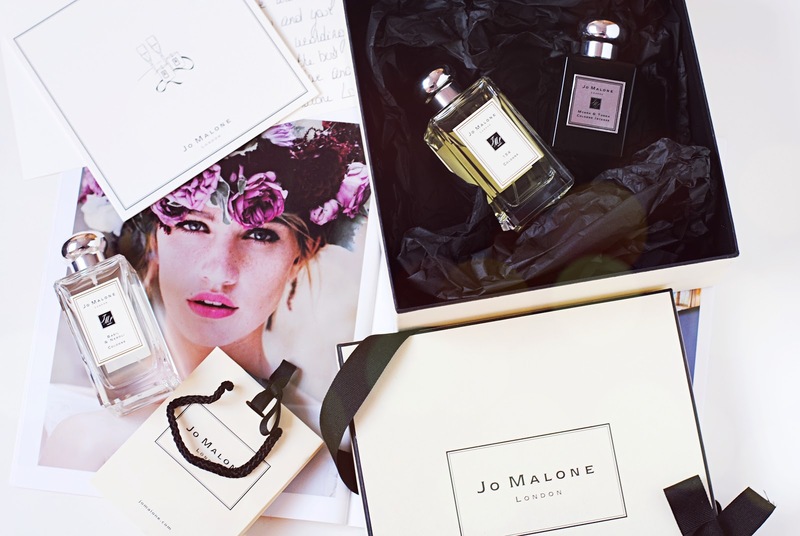 However when I was contacted by Jo Malone and they offered me and my fiancé to choose our wedding scents at their shop, I knew this would make our big day all the more special. We were invited to the shop in Luxembourg city, but not just to choose our perfumes, but also for a scented treatment. First we tried all the perfumes to choose our favourites. 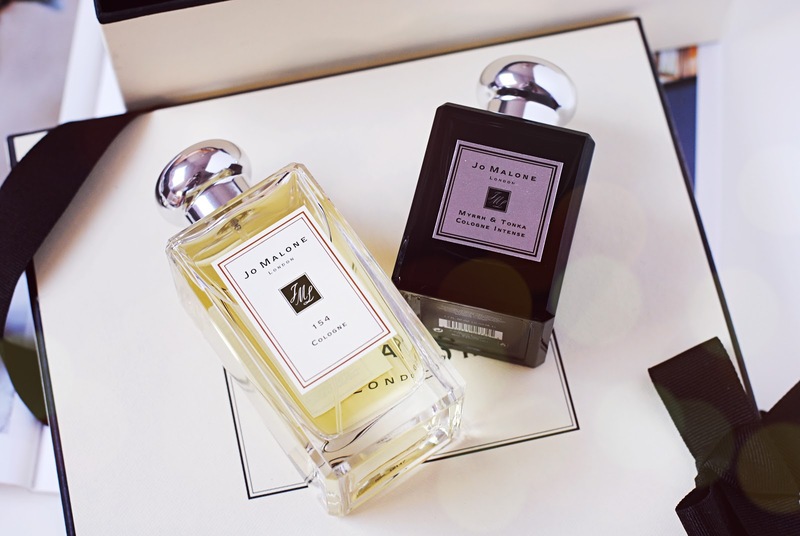 I had already fallen for two intense scents at the Jo Malone store opening: Velvet Rose & Oud and Myrrh & Tonka. For my wedding I opted for the second perfume as it's a warm scent with almond and lush vanilla notes. My fiancé went for the perfume 154 cologne which is a male but really fresh scent containing mandarin, grapefruit, lavender, basil, nutmeg and vetiver. The lovely shop assistant surprised us when she announced that we would get a third perfume that would match both his and mine so we could mix and match them and have a common scent that unites our two perfumes. The shop assistant chose Basil & Neroli for us, a scent with floral neroli and a delicious wink of basil. 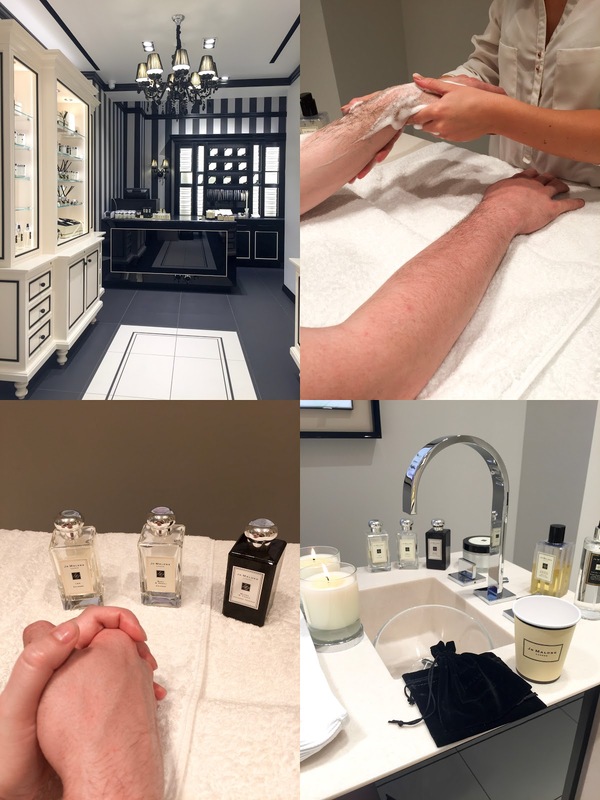 After choosing our perfumes we got the Jo Malone treatment which consists of a full hand and arm massage ritual. And when I say ritual I really mean it: First you get a pouch for your jewellery, then you get a massage with foamed body wash, after that your arms are wrapped in warm wet towels, and the treatment is concluded with a body cream and of course your chosen perfume. Having our own scents on our big day was really special for my fiancé and me and the first thing we did after seeing each other for the first time was to smell the scents on each other. 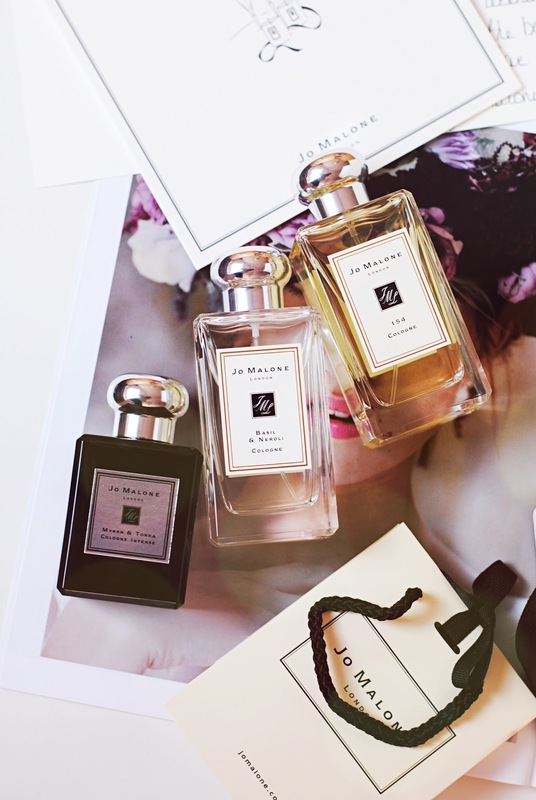 These perfumes will be kept in best memory and always remind us of this perfect day. Find a Swedish translation of this post here.